for $540,000 with 4 bedrooms and 2 full baths. This 1,446 square foot home was built in 1970 on a lot size of 6.91 Acre(s). 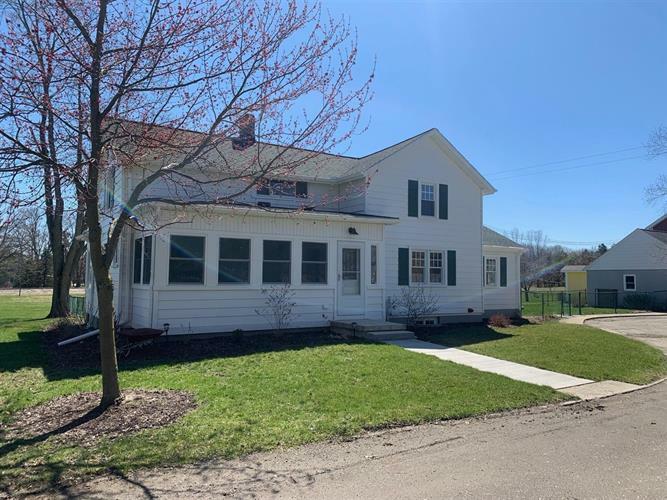 Charming 4 bedroom, 2 bath farmhouse conveniently located just minutes from I-94. This 1446 SF home is located on just under 7 acres and features a beautiful new enclosed porch and a bright and open kitchen. Ideal first floor bedroom, plus three additional bedrooms on the upper level. A big bonus to this property are the amenities to run a trucking and/or light landscaping business as there are multiple facilities, including a large partially heated barn with office space, multiple garages and storage barns, and a cement pad located in the back of the property for easy truck access. Schedule your private showing today!